Renew you’re British passport. Get the forms, prices and application details you need if you’re a British national and are thinking about your how to renew you’re current British passport from Thailand.Thailand help & information for expats living overseas. Read our guide on how to renew your British passport overseas in Thailand , you can either do it in person or use a recommended passport agent. Post these back to the agent they will submit the passport renewal on you’re behalf. Once its ready they will collect it in Bangkok & post it back to you, this saves you two trips to Bangkok. The sevice fee is generally 5000 THB & saves you a lot of hassle. The passport agent will also use his/her credit card to save you using your own card. 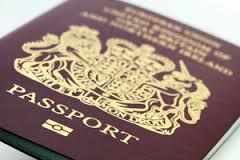 What are the current British passport renewal fees In Thailand ?